Are there any additional approaches that will assist evaluation of artistic works in a book format? I suggest that there is an additional topic that could propagate additional tools. This topic is the aesthetic consequence of a work of book art in the hands of the reader where tactile qualities and features of mobility are appreciated. This is a haptic [pertaining to the technology of touch] domain where the study of touch as a mode of communication is at work. Such evaluations call up deeply embedded perceptions and sensory skills where the hands prompt the mind and where the reader’s understanding can be far removed from the intentions of the artist. .... But how can we provide effective description for a more critical experience of the corporeal book? We can lift it, open it and turn a page. Is it docile or springy on opening, solid or tentative on closing? Is there a live transmission of forces through the structure or is it crippled? What instigates the reader’s ergonomic of comprehension and how are haptic features consequential to the evaluation of book art? .... [A]ll books are art in a world of subtle and critical manual evaluation. If we could delineate it, a manual evaluation or haptic criticism would lay out a physics for book art criticism, using words. Frost, Gary. 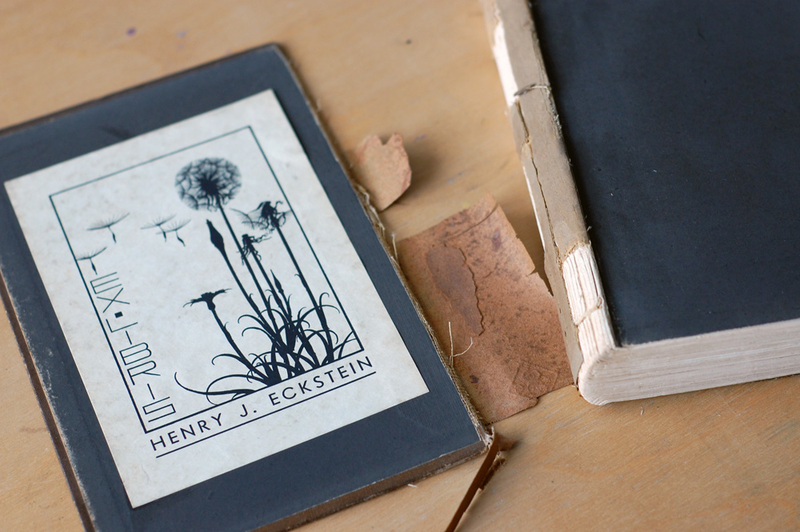 "Reading by Hand: The Haptic Evaluation of Artists’ Books." The Bonefolder 2.1 (2005): 3-6. 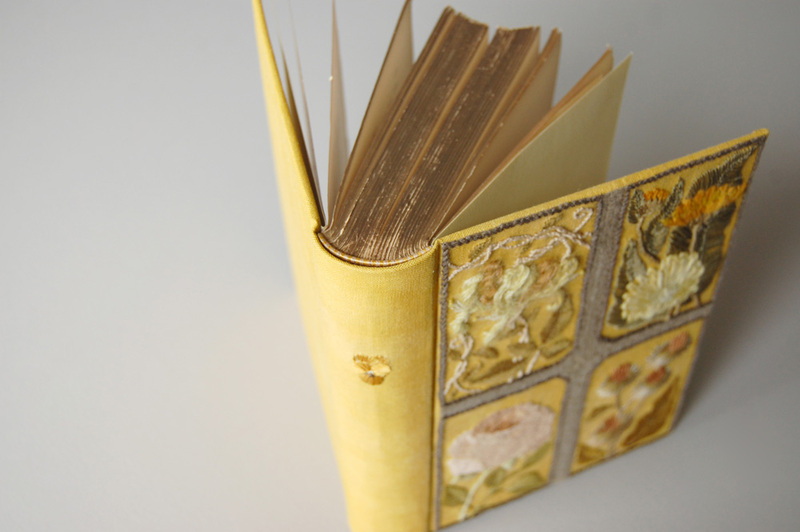 Book Arts Web. Philobiblon. Web. 5 Feb. 2015. <http://www.philobiblon.com/bonefolder/>. Some new little marbled journals are up in the shop today. These were a delight to put together - I marbled the papers, then dyed some lengths of silk with apple bark and sandalwood to match. The signatures are folded down from whole sheets in the old-fashioned manner, then cut by hand. 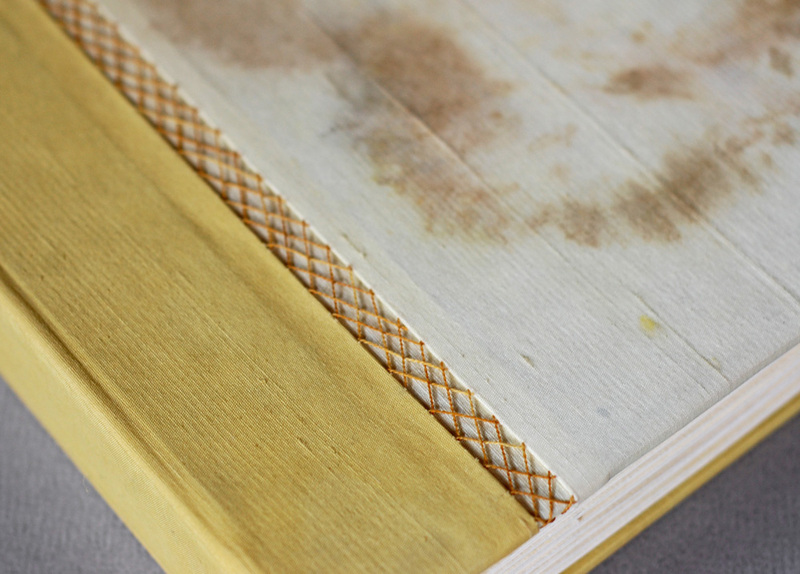 I leave the pages uncut on a number of the journals I bind, giving the pleasure of opening them to their recipient. The pages are not printed, but are dyed as whole sheets and then folded down. Technically they are 'unopened', but also uncut in that they have a torn edge. 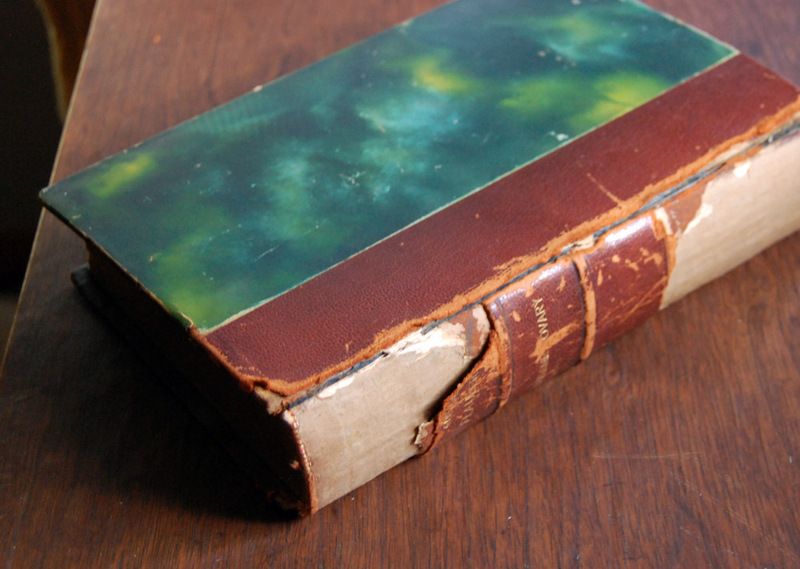 To open the pages use a dull knife or old fashioned letter opener, not a finger or pencil. My favorite tool is this old piece of cutlery. Slip it into the fold at the edge of the page, with the blade flat against the surface of the page. "Cut with a dull knife held parallel to the plane of the paper. 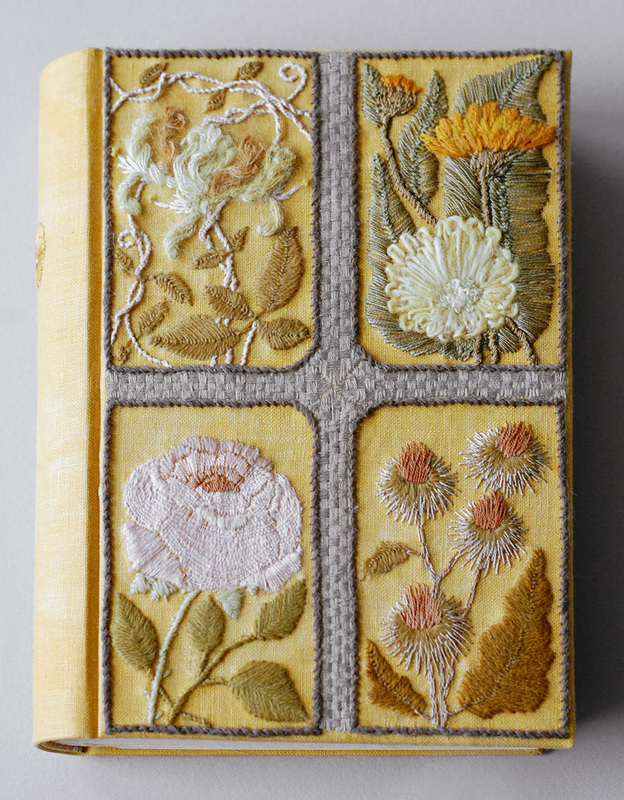 Cut out, away from the book," instructs Jane Greenfield in The Care of Fine Books.